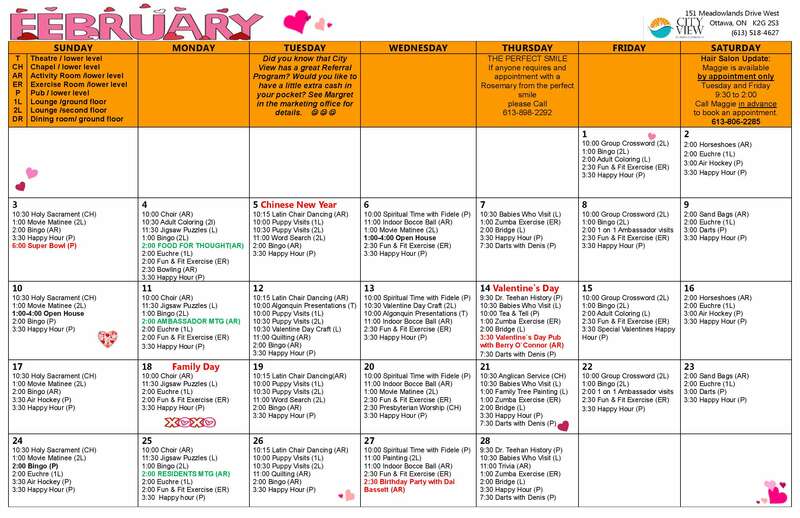 February is the month of celebrations – Chinese New Year, Valentine’s Day and Family Day! We invite you to join us for our festivities this month. All are welcome! Call ahead to ensure that we have you booked in…or just drop by! 613-518-4627.